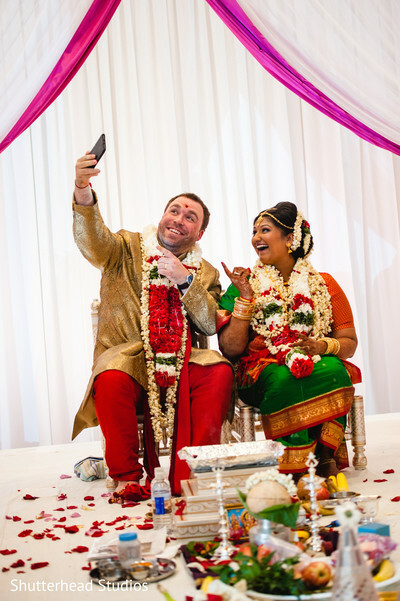 Hey there ladies! 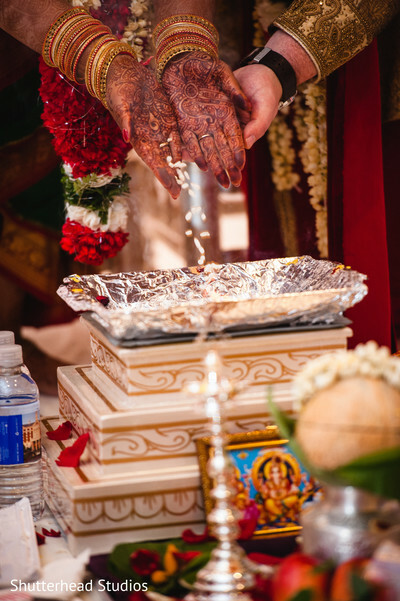 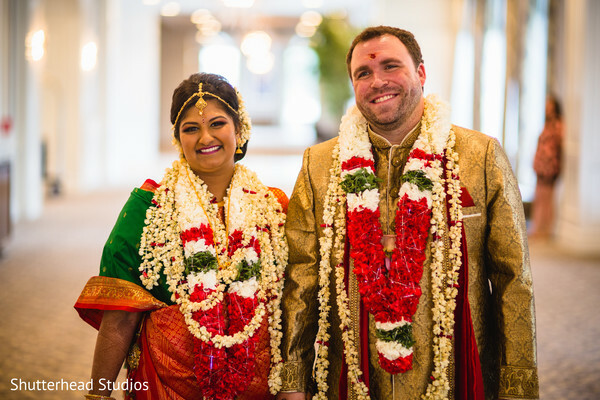 Today, we have the dreamy American and South Indian fusion wedding of Anita and Henry at the marvelous Hilton Columbus at Easton! 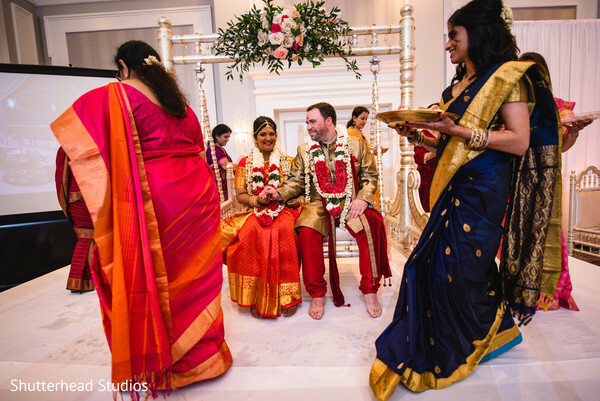 This spirited fusion union was planned with meticulous precision by the South-Asian wedding experts of R and S Events who worked side by side with all the vendors to coordinate every detail of the wedding timeline. 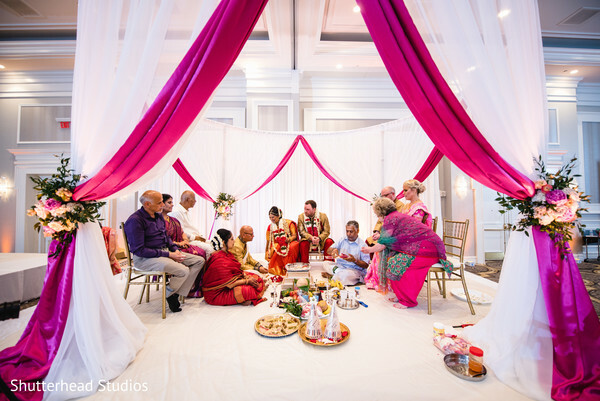 The program began with DJ Mavi Productions playing upbeat and exciting rhythms that announced the joyous Baraat procession that marked the start of the solemn ceremony. 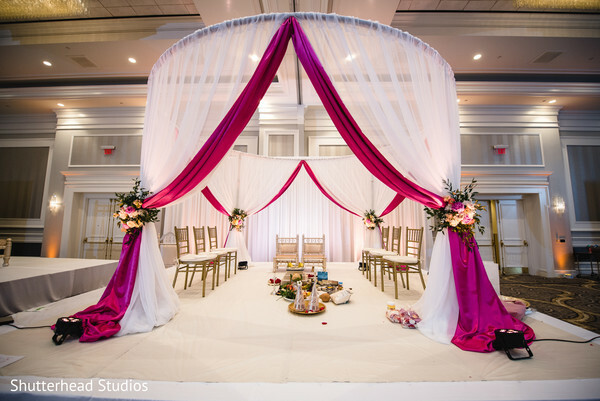 Next, on the schedule, Maharani Anita joined her Raja at a ravishing round mandap created by Prema Designs. 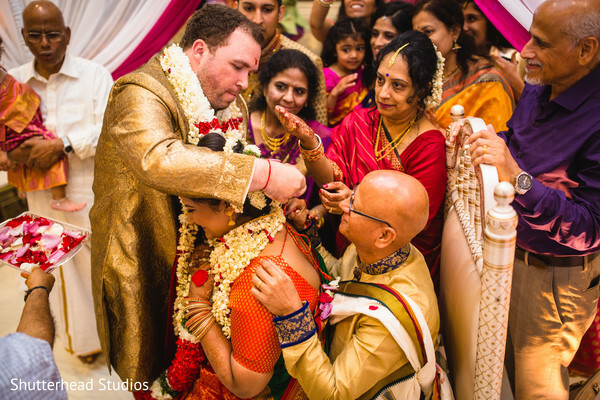 The bride showed up in an insanely beautiful red and golden silk saree which she flawlessly matched with a detailed motif mehndi design from Gorgeous Goddess Beauty Salon. 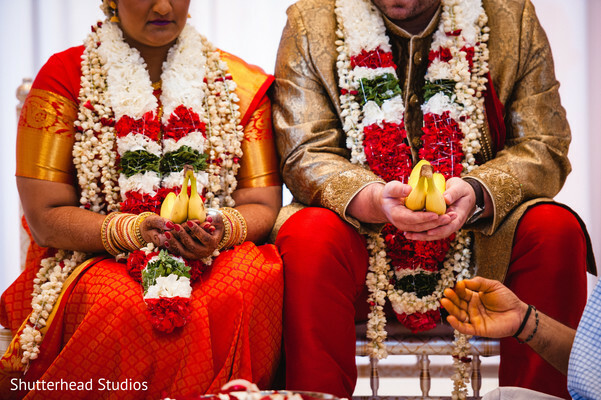 Shutterhead Studios caught everything from the south Indian wedding rituals to the candid moments this super cute pair shared which you can discover in our full gallery! 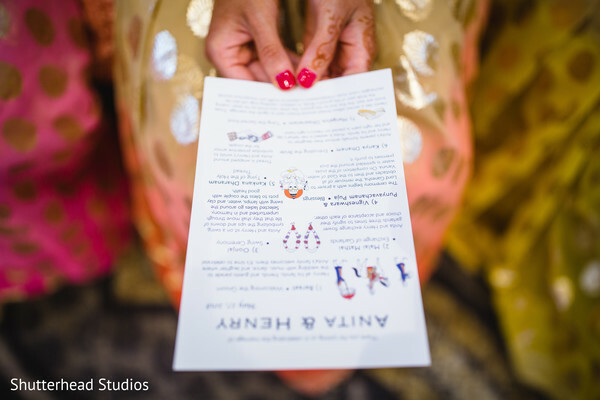 We are just halfway through, check our next post for the party details! 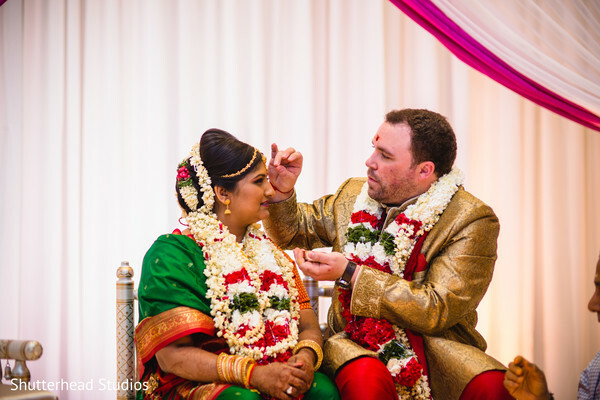 Check out the highlights of Anita and Henry’s refined reception coming up next.